After the overwhelming success of last year’s Rotorua Museum Community Christmas Tree, we are again asking our generous local community to donate gifts to a great cause. Starting Saturday 1 December 2018 the Rotorua Museum Community Christmas Tree will be located at Rotorua Library Te Aka Mauri (Haupapa Street) to receive donated gifts for the Waiariki Women’s Refuge. 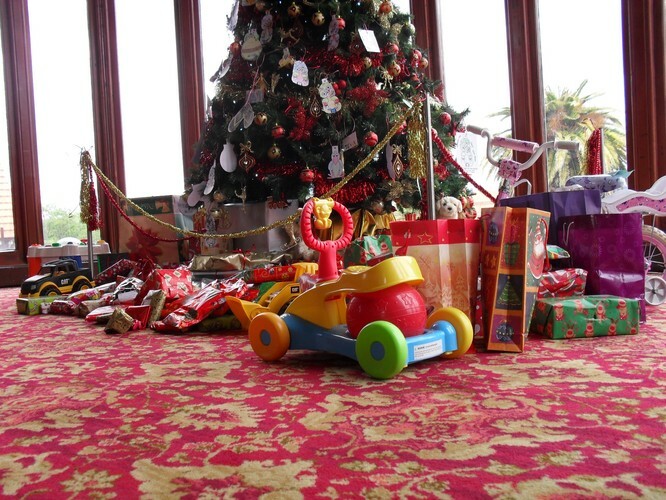 Last year individuals and local businesses donated nearly 350 presents which were distributed by Waiariki Women’s Refuge to families in need. This year we would like to do even better! Families, individuals and companies can bring in wrapped presents, including a gift tag indicating whether they are for a mother or child, and if for a child, the gender and suitable age range. Local businesses are also invited to donate items or vouchers to make Christmas a little brighter for these deserving families. Donated gifts will be delivered to Waiariki Women’s Refuge just in time for Christmas. You can still donate presents after Christmas, right through until 7 January 2019 when the tree comes down. These gifts will be taken Waikariki Women’s Refuge to be given to families in need throughout the year. For further information please contact: rotorua.museum@rotorualc.nz or phone 07 351 8055.